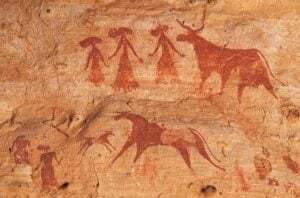 Humans have told stories, wanted to hear stories, and wanted to do things worthy of having their stories told for as long as we can track a record of human existence. From cave paintings to emojis and the great novels in between…we’re sharing our stories. It’s a part of the way we connect and relate to one another. We have storytellers who have preserved accounts of important happenings and others who make up stories for entertainment. There are stories that are meant make us feel a certain way and stories intended to inform us. No matter the purpose of the story, every story has a few basic parts. Most of us learned these way back in elementary school, but we often overlook the connection between the stories we learned to tell in our early years, and how we can use these same elements to help us tell the story of our business. Characters – That’s you, any of the key stakeholders in your company or organization, and the target audience you are trying to reach. Setting – Your physical location and the location of the people you seek to serve. This could be your local geographic area, or maybe it’s global. This depends heavily on what you do, how you do it, and who you seek to do it for. Plot – The plot is the actual story. Every plot should have a very clear beginning, middle, and end—with all the necessary descriptions and suspense, called exposition—so that the reader can make sense of the action and follow along from start to finish. Your story is ongoing so, the “end” could and should be an invitation to your reader or listener to become a part of your story by way of trying/buying your products or services. Your story is ongoing, so rather than having an “end,” you should have a “call to action”–invite your reader or listener into your story by purchasing your products or services. Conflict – The conflict in your story should speak to the problems your clients or customers face. Resolution – The resolution comes in the solutions you offer that put an end to the conflict your clients or customers are facing. You want your audience to buy from you and be so thrilled with the quality of your offerings and the wonderful experience they’ve had that they tell everyone they know. There are many pieces of the puzzle that need to come together in just the right way so that you can achieve this. What you may not realize is that you are constructing more of a mosaic than a puzzle, and once your pieces are in place, your mosaic tells your story. 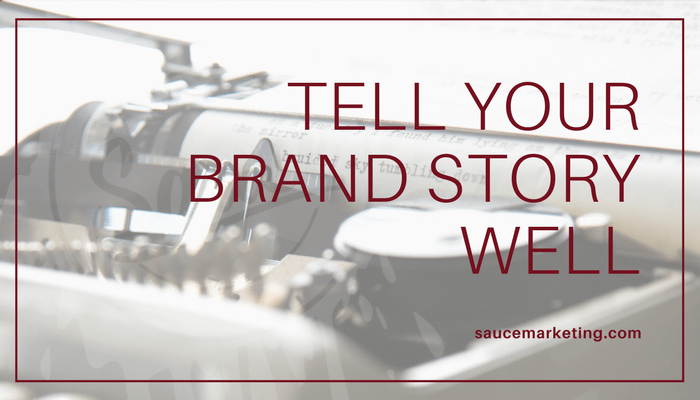 I’ve said it before and I’ll say it again, you can tell your story all day long but if you aren’t telling the version of your story that your audience wants to hear–in the way they want to hear it–you might as well tell your story to a brick wall. 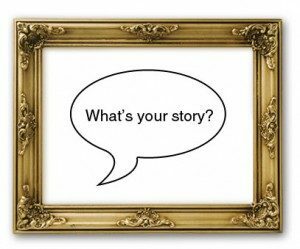 The real power of your story comes from the way you frame it. Put yourself in the position of the person you hope to reach with your story–the person who can benefit most from hearing it. Then, frame your story with that person in mind. Authenticity and transparency are integral to telling your story in a way that truly connects with your audience, but that can be tricky. Play to your strengths, but don’t be afraid to include details that speak to when you’ve fallen short. Speaking of details, they are important. Don’t get lost in them, but do include enough detail so that the person hearing or reading your story can easily imagine the details. This should help them choose to become a part of your ongoing story more easily. As always, if you have any questions, comments, feedback, or requests for future posts, please let me know by shooting us a message here. Thanks for reading!